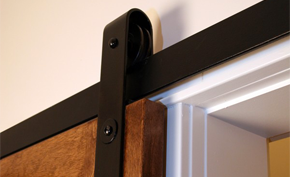 Richards-Wilcox Specialty Door Hardware is available in a variety of finishes including powder coat, galvanized, and stainless steel in select series products. 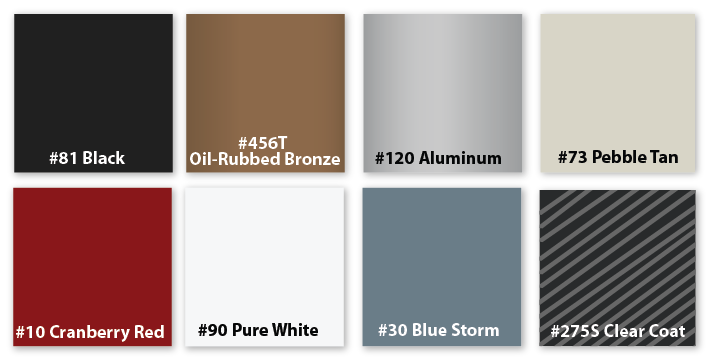 Please reference the chart below to see specific finish options by product line. Selection of a proper finish for sliding door hardware track and trucks, swing hinges, or accessories is dependent on the application, whether interior or exterior, site conditions and usage. It is important to get the finish that is going to be optimal for your specific application. If you need assistance with this assessment, we are glad to help. Galvanized and Stainless products require additional lead time; contact Richards-Wilcox Customer Service for details.